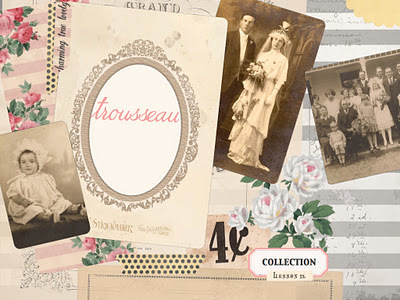 One Lucky Day: Trousseau Winner! Please email us with your address and we will get your goodies on their way to you. Thank you to all those who left comments! See you back here on Friday. Paula is back and will fill us in on all her Australia fun! Julie, Congrats and enjoy your kit. You are a Lucky Girl! Congratulations, Julie! Have fun with your awesome prize! Wow! Am I ever lucky! Thank you so much! I couldn't be more delighted!